I have been busy with school and wrapping all of that up so there hasn't been an abundance of time to spend sewing. But what little time I've had to work with, I have been quilting. In true procrastinator form, when I have finished a project early I have spent the extra time quilting... instead of starting on the next due date. Oh well! This is the scruffily quilt. I got the quilt top assembled over spring break but finally finished quilting it last week. the seams of the two smaller inset squares are on the outside so after a wash they fray and become all snuggily. Pictures don't do it justice because the prints don't look so wild in real life. It is roughly a 60" square and currently lives on the couch. Since I have finished the scruffily quilt I have been planning the next one. I have been quite good about not stacking up the new quilt tops before finishing one. This is going to be chopped up and done in fairly small piecing. The quilt top directions come from a quilt along over at Freckled Whimsy. 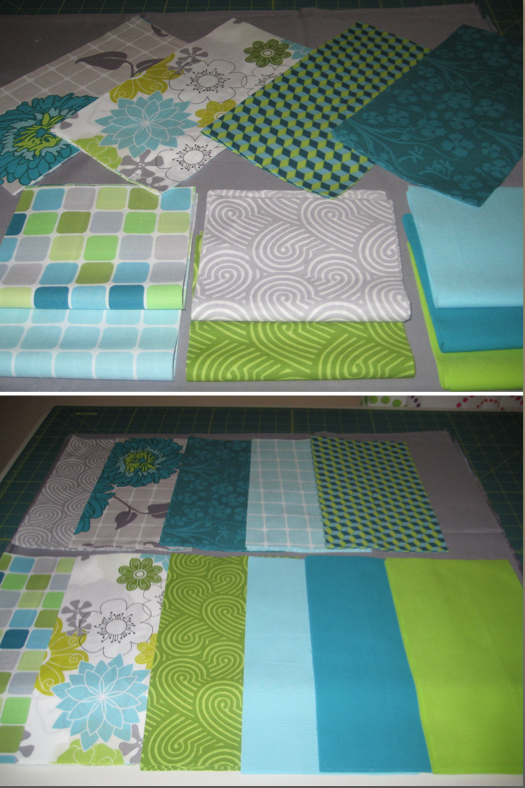 Basically it makes one block and depending on the layout you can get very different quilts. I ordered the fabric for the sashing (white in the blocks) and for the backing this week and hopefully it will be here soon! 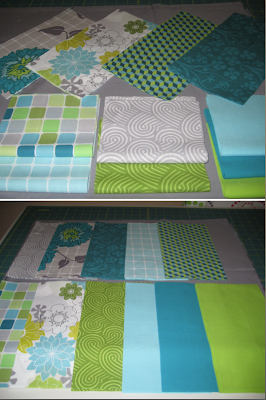 This is a fabric line that I have oogled since January and I finally broke down and bought before Spring Break. Since then I have been hesitant to cut into it because it's so pretty. I also have the same fabric in a pinks, oranges, and browns colorway that is still waiting a project. This is going to become a Color Brick quilt. The fabric has already been cut for the bricks in 5.5"x11". And then it is sashed in the grey material. The directions for this one is over at Stitched in Color. I absolutely love her blog and her love of rainbows. 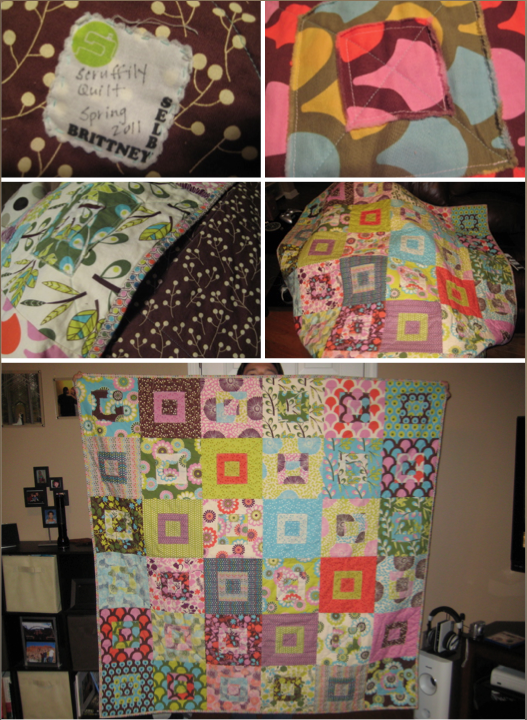 She is hosting a quilt along right now that I am collecting/organizing scraps for. That's all I've got going on right now. I am awaiting a large delivery sometime soon that I can't wait to tell you about!